We often hear this dreadful disease’s name nowadays. The name is so dreadful that it is sufficient to give a shock of lifetime to all family members beside the patient. Although there is so much advancement in the field of medicine but still the doctors find themselves in a difficult situation dealing with blood cancers. The chemotherapy and radiotherapy has so many side effects sometimes that it becomes a part of disease rather than curing it. 1. Acute Myelocytic Leukemia – ( AML ) Acute myeloid leukemia is a type of cancer that starts from bone marrow and the tissue which is inside the bones. This tissue helps to form blood cells. The cancer grows from the cells that were suppose to become white blood cells. It develops quickly, that’s why it’s called Acute and can prove fatal if not treated quickly. 2. Chronic Myelocytic Leukemia – (CML ) Chronic myelogenous leukemia (CML) is cancer that starts inside bone marrow. This is the soft tissue in the center of bones that helps form all blood cells. CML causes an uncontrolled growth of immature cells that make a certain type of white blood cell called myeloid cells. Many patients discover the problem accidently and in accelerated phase it causes fever, bone pain, spleen enlargement, sweating, fatigue, weakness and bruising. 3. Non-Hodgkin’s lymphoma- It is a type of cancer of the lymphatic tissue. Main symptoms are night sweats, fever and chilles ( on and off), swollen lymph nodes, weight loss, shortness of breath, swellings, nausea, vomiting, headaches. Ayurveda or natural medicine has always helped so many cancer patients to fight this dreadful disorder handsomely. Sometimes the patients are not willing to go solely for ayurvedic treatment of their blood cancer. They want chemotherapy or radiotherapy as advised by the doctors. I am not against chemotherapy or radiotherapy but I would always suggest start Ayurvedic treatment for Blood Cancer along with the ongoing modern medical treatments. The Ayurvedic treatment is rejuvenating in nature. Take some nourishing ayurvedic supplements which are helpful in protecting the healthy cells and regulate the metabolism of the body and stops progression or acceleration of cancer. Staunch followers of Ayurveda, can take complete Ayurvedic treatment for his blood cancers– Acute Myelocytic leukemia or Chronic Myelocytic leukemia or Non-Hodgkin’s lymphoma. 1. The Ayurvedic treatment of Leukemia can be used as an adjuvant to ongoing radiotherapy or chemotherapy. 3. The preparations used in Ayurveda, slows down the progress of the disease and sometimes put them in complete remission phase. 4. Ayurvedic herbs help to minimize the side effects of radiotherapy and chemotherapy. 5. 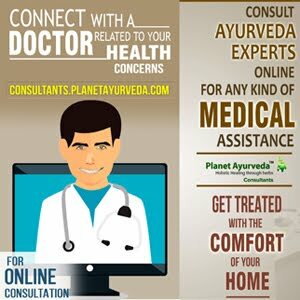 Ayurvedic medicines can help to clear the cancer in many cases. There are certain Ayurvedic herbal remedies and ancienty alchemy rasa shastra medicines for Leukemia of both types. The combination recommended by ayurveda is time tested and is well researched by many Ayurvedic vaidyas and experts. Ancient alchemy called “Ras Shastra” mentioned many combinations in ayurvedic texts to fight cumbersome diseases like Cancer or “arbuda in Sanskrit. The blood Cancer is called “Rakt-Arbud” in Ayurvedic medicine by many. While mentioning Arbud another name comes in ayurvedic texts called “Granthi”. Both of these names literally mean “Tumor or swollen, elevated, painful/ painless, elevated node”. Blood Cancers can also be classified as “dysfunctional Pitta” leading faulty formation / non-formation / damage of blood cells or immunity cells. Or “Rakt-Gat Pitta” , Sannipataj Paandu + Rakt Arbud. Use of combination of Silver, Gold and other minerals gives wonderful results in fighting cancers, no matter if the patient is on chemo or radiotherapy. The use of the combination gives boost to the normal cells, modifies the immune cells and helps in regularizing the production of cells in the bone marrow. The results are astounding and many Ayurvedic vaidya’s are using these combinations in their clinical practice to get wonderful results in blood cancer and other cancer patients. All these can be used with water, along with the sachets. There is no problem if the patient wants to take Chemotherapy or Radiotherapy along with these. There are no contraindications. 3. Consuming unnatural food at a very high level and in regularity. Fast food, preservative rich food, pesticides, fertilizers rich food items, Stress and unhealthy life style are also reasons for cancers. Coconut water should be consumed regularly. Every day empty stomach. 2. Alkaline diet is highly recommended. The alkaline diet mainly contains fruits which are not acidic in nature. For example – Apples, pears, papaya, melons are excellent anti-cancer fruits. 3. Nuts should be consumed in a moderate quantity. Dates should also be consumed in moderation. 4. Citrus fruits like oranges, lemons are not really recommended as per Ayurveda. They are all Pitta vitiating foods. 6. Turmeric and Spices in moderate quantity can be consumed. 7. Avoid foods which produce “Ama – Endotoxins “ in the body. 8. Avoid heavy, greasy, sticky foods like Yogurt, Banana, Arbi, Bhindi (Lady’s finger), cheese, sweets and milk products, Packaged food, noodles, pasta (packaged), food full of preservatives, canned food is not good. 9. Grapes, Chikoo and mangoes are allowed if there is constipation and there is weakness in general and no diabetes. Dates are not recommended in large quantity, although they have so much energy but still they are hot in nature, so should be avoided. 10. The combination of list of medicines mentioned above contains Mukta Pishti, Praval Pishti, Akik Pisthi and others. These are called Pearls, Corals and Agate respectively. They are rich natural source of calcium. So there is no need of extra Calcium supplementation. Warm food, Fresh Food – Vegetable soup made from fresh green leafy vegetables is recommended. Nature knows which fuel is good for this human machine. Most of the things which grow in fields, trees, and forests are good. Packaged food, processed food is very bad. Soft drinks are bad because they provide CO2 (carbon di-oxide) and deprive living cells of oxygen. Ghee is always recommended in all types of Blood Cancers. In such cancers, Vata and Pitta are highly vitiated and in imbalanced state. Bramhi Ghritam, Maha Chaitas Ghritam, Ashwagandha Ghritam, Triphala Ghritam etc. are excellent. Swamla compound ( made from amla base), Maharishi Amrit Kalash are various preparations which can be added depending upon various conditions. Coconut water should be consumed everyday early morning to neutralize the toxins produced by acidic diet in the body. Fruit juices should be consumed one fruit juice at a time or in a day. For example fruit juice of Apple, Water melons and avoid sour fruit juices like Lemons, Oranges. For vitamin C, Amla fruit berries are excellent, and although they are sour but they become sweet in “Vipaka” ( Metabolic property) after digestion. So they are good. Amla berries are there in Amalaki Rasayan, All chawyanprash, and other herbal jams of Ayurveda. Fresh Beetroot juice is very important. 30-100 ml daily is recommended to boost immunity and improve blood count. Use of Zuchini, Bottle Gourds, Long Gourds, Round Gourds, Turnips, Carrots, Radishes is recommended. They are good for all types of diseases caused by Pitta imbalance. Use of Giloy (Tinospora cordifolia) is recommended. Wheat grass juice, Amla Juice is also recommended. Green leafy vegetables should be made into soup every evening. Potatoes are fine but fried are not recommended. Mushrooms are very high in protein and increase fire element in the body. So they should be consumed after few days gap only and are fine if the patient is having protein energy malnutrition or low energy or muscle mass. Butter is not recommended but Ghee is recommended. High protein diet should be avoided. All non-vegetarian diet should be avoided. Non-Vegetarian soup and small chicken chunks are allowed if the patient is very weak, otherwise it will increase Pitta, which is the root cause of the disease. Wheat and mix of various grains breads / chapatti is recommended. Rice are not recommended and should be avoided. Once or twice in a week, mixed with various herbs and spices (made as Pulao) can be consumed. Consitpation should be avoided at all costs. Consuming soups of green leafy vegetables, consuming fruits like papaya, melons, apples, pears and coconut water will help to get rid of constipation and improve appetite. Don’t force feed and let the appetite generate itself. It is written in Ayurveda, if there is no food, the digestive fire will burn the “ama” (toxins) . So it is good to keep a fast once a week to enlighten the digestive fire and improve appetite. Keep fast on coconut water or soups. Apples are excellent for all tumors/ cancers. Fresh apples, without pesticides spray should be consumed almost every day. Don’t mix them with Yogurt or milk. Consuming whole, along with the peel is recommended as it is rich in quercitin but washing for about 5 minutes is recommended to clear the disinfectants. Locally grown apples are recommended rather than imported, as they are sprayed with chemicals. 1-2 apples a day are fine. Alcohol, beer should be stopped at all costs. sir,can you suggest herbal remedy for herpes zoster (nagin) and also for after pains that folloes due to nerve damage due to herpes..
As per her checkup report Dr declared it. Sir we don't Wana lost her. I will be highly obliged to you..
What about ALL(9:22)? Is there any cure? My father is diagnosed with MDS..
NOW TLC IS Increasing at rapid rate..
Its said that Mds converted to AML.. He is going thru chemo process every month for one week. Please plzplz help.. i dnt want to loose my father..
> Wheat and mix of various grains breads / chapatti is recommended. Why? As I know wheat produces Ama. Really an awesome post. Nowadays many people are suffering from blood cancer and it really helps them. Is there a cure for CMML?